Golden Gate National Recreation Area, California by the National Park Service. Approaching Alcatraz, by Kathy Weiser-Alexander. 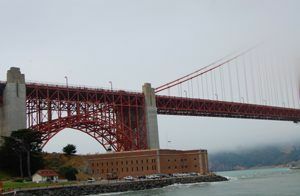 Fort Point and Golden Gate, California by Kathy Weiser-Alexander. The Golden Gate National Recreation Area in San Francisco, California is one of the largest urban national parks in the world set in the midst of the Nation’s most popular destinations for local, national and international tourists. The total park area is 75,398 acres of land and water — nearly two and one-half times the size of San Francisco. Approximately 28 miles of coastline lie within its boundaries, including rugged cliffs, spectacular beaches, redwood forests, and the world-famous Golden Gate Bridge. The Presidio of San Francisco by Carol Highsmith. The recreational area chronicles more than 200 years of history, from the Native American culture, the Spanish Empire frontier, the Mexican Republic, to United States maritime history, the California Gold Rush, the evolution of American coastal fortifications, and the growth of urban San Francisco. 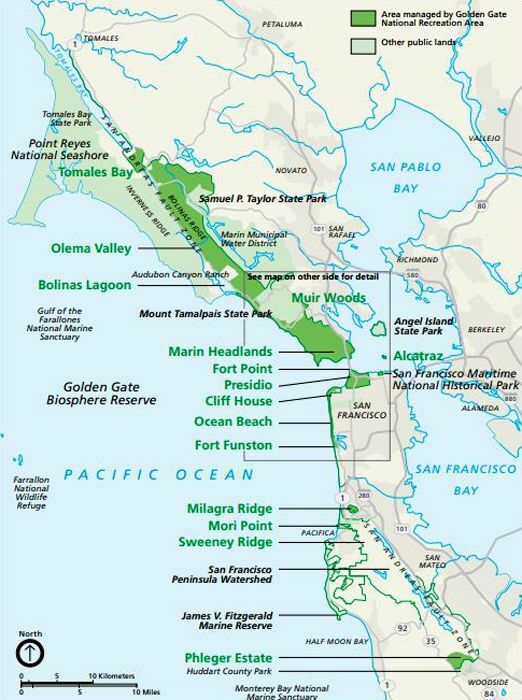 The mission of Golden Gate National Recreation Area is to preserve and enhance the natural environment and cultural resources of the coastal lands north and south of the Golden Gate for the inspiration, education, and recreation of people today, and for future generations. 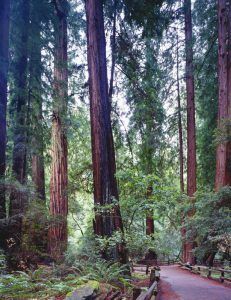 The National Recreation Area is one of the Nation’s most highly visited national parks and consists of numerous individual sites in Marin, San Francisco, and San Mateo Counties. 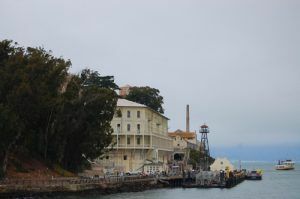 Such renowned destinations as Alcatraz, Muir Woods National Monument, the Marin Headlands, Fort Point National Historic Site, the Presidio of San Francisco, as well as Fort Mason, the historic Nike Missile Site and the Cliff House at Lands End are parts of Golden Gate National Recreation Area, and each has its own unique natural, cultural and military history. 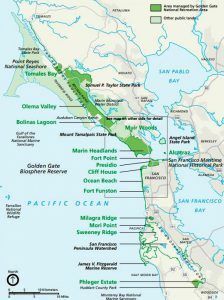 Other interesting sites include Crissy Field, Stinson Beach, Ocean Beach, Fort Funston, Sweeney Ridge, and Mori Point. This vast expanse of land features 37 distinct park sites, more than 130 miles of trails, 1,200 historic structures, 12 sand beaches, three lighthouses, and 11 former Army posts whose military architecture and historic landscapes comprise the heart of the park. Much of the Golden Gate National Recreation Area is within walking distance from San Francisco, with other areas up to an hour’s drive away. Access to the recreation area is possible daily and year-round. 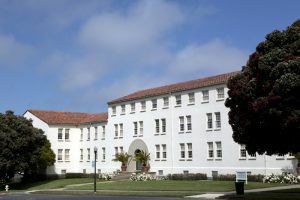 Visitor information is available at Fort Mason, the Cliff House, Fort Point, Rodeo Beach, Muir Woods, Fort Funston, and the Presidio. Hours for individual facilities vary, but the most common hours of operation are 10:00 am. to 5:00 pm. All visitor centers are open daily except for Thanksgiving, Christmas and New Year’s Day. 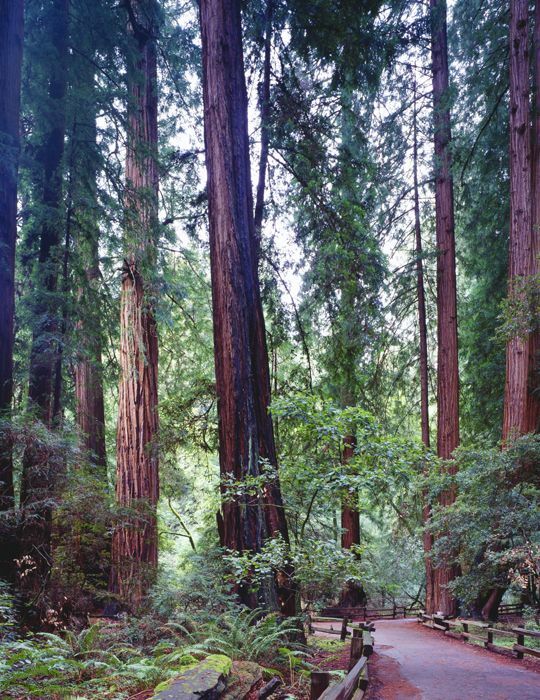 Muir Woods, California by Carol Highsmith.